Production Summary: Thirteen songs were written and recorded for this album, with twelve eventually being featured. The lone holdout was the James Blunt parody "You're Pitiful" (see below). Additionally, Al also considered recording an alternate parody before deciding on "White & Nerdy," the Gilligan's Island-themed "I'm in Luv wit da Skipper" based on "I'm n Luv (wit a Stripper)" by T-Pain. Al even received permission from T-Pain and thanked him in the album's liner notes, but alas the song was never completed. 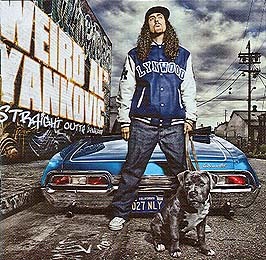 Instead, it was included during the centerpiece parody medley during The Straight Outta Lynwood Tour and the 2010 tour. Dr. Demento Status: Ten of the album's twelve songs have aired on the syndicated Dr. Demento Show, with the last song to premiere on the show being "Trapped In The Drive-Thru" on November 5, 2006. By the time The Dr. Demento Show ended its run on terrestrial radio on June 5, 2010, "Confessions Part III" and "Close But No Cigar" remained the only two songs from the album yet to be played on the program. Interestingly, "Pancreas" was only played on the show once. Tour Status: As of this update, 62% of this album has been included in a regular tour setlist. Debuting at #10 in Billboard with over 73 thousand copies sold in its first week, this album had the best debut of any of Al's work at that point (not to mention his highest chart position for an album at the time). It would remain his best debut in terms of sales, but the chart distinction would be beaten by his next album, 2011's Alpocalypse, which would debut at #9 (ironically, with a smaller sales figure). SOL would eventually stay on the "Billboard 200" chart for twenty-three weeks. This album was originally scheduled for release on June 27, 2006 with just eleven tracks. The lead single was originally supposed to be the James Blunt parody "You're Pitiful." Unfortunately, James's label, Atlantic Records, forced Al to remove the parody from the album at the last minute. Al explained that Atlantic felt that a parody released this early in James's career would cause people to mischaracterize him as a "one hit wonder" (why exactly they felt that would have been the case is another question). Rather than going to war with Atlantic, Al and his label decided it would be best to merely pull the song from the album and offer it as a free download (as opposed to shelving it indefinitely). This of course meant that Al was now without a lead-off parody, thus forcing him to start the process all over again of finding just the right song and then getting permission. Al would return to the studio that July to record not only "White & Nerdy" but also "Do I Creep You Out." Ironically, one of the original songs, "Don't Download This Song," would end up becoming the album's first single. Al's first album released as a DualDisc in the United States (although it should be noted that Al had previously appeared on Ben Folds's DualDisc release Songs For Silverman). The DVD side features six animated music videos, alternate mixes of all the songs on the album, on-screen lyrics, a photo gallery, and a documentary of Al and the band in the studio recording the original songs. Released in Australia on September 30, 2006; in Canada on October 3, 2006; in New Zealand on October 6, 2006; in Finland, Italy, and Norway on October 30, 2006; in Sweden on November 1, 2006; in the United Kingdom on November 13, 2006; in Benelux (Belgium, the Netherlands, and Luxembourg) on November 17, 2006; and in Austria and Germany on November 24, 2006. In Italy and France the album is only available digitally. All other international releases consist of a CD and DVD two-pack as opposed to a single DualDisc. The region-free DVD only features the music videos and the documentary, making all the alternate mixes exclusive to the U.S. DualDisc release. The first ALbum to have a song, "Canadian Idiot," hit Billboard's "Hot 100" singles chart without initially being released as a stand-alone single. The song would eventually peak on the chart at #82. This is the first ALbum with a title that parodies another artist's album while the cover art itself does not. The first domestic Al release to include an instrumental of a parody. This is the first album to have tracks premiere on Al's MySpace page. The album includes animated music videos for all six original songs. This already means that this album has more videos than any previous Al release. On top of that, a seventh, live action video for "White & Nerdy" was produced to be broadcast on video channels and distributed online. An eighth video, an animated one for "Do I Creep You Out" (starring a live action Al through a series of newly shot photographs), was later produced for the JibJab web site...while a ninth, animated video for "Trapped In The Drive-Thru" was also produced by Doogtoons and premiered on MySpace. The first ALbum to not be issued on cassette in the United States, though a cassette version was released in Indonesia. Features Al's longest parody ever. Al's first album to be nominated in a non-comedy Grammy category, Best Surround Sound Album (the album would also receive a nomination for Best Comedy Album as well). 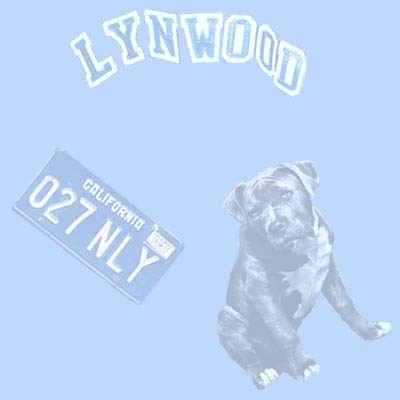 Straight Outta Lynwood ©2006 Way Moby/Volcano Entertainment III.